The comments were made as 100 residents living close to the release site met in Elsdon, Northumberland, to discuss the project. The NSA, together with the NFU and British Deer Society, wanted to make it clear that the introduction of the lynx would not just put a few sheep at risk, but have a wider impact on the landscape, wildlife, local communities and the rural economy. Phil Stocker, chief executive of the NSA, said: “The UK’s ecology is built on huge diversity which is dependent on human management and farming in the majority of cases. “This hierarchy of species interact with each other, and we already have many examples where a lack of intervention and predator control result in the collapse of iconic birds and mammals such as the red squirrel and the curlew – two species Northumberland is renowned for. “The UK is very different from countries where top level predators such as big cats can survive in terms of land use, wildlife, our population and infrastructure. Mr Stocker also claimed the extensive environmental work done by sheep farmers would be put in jeopardy by the rewilding project. 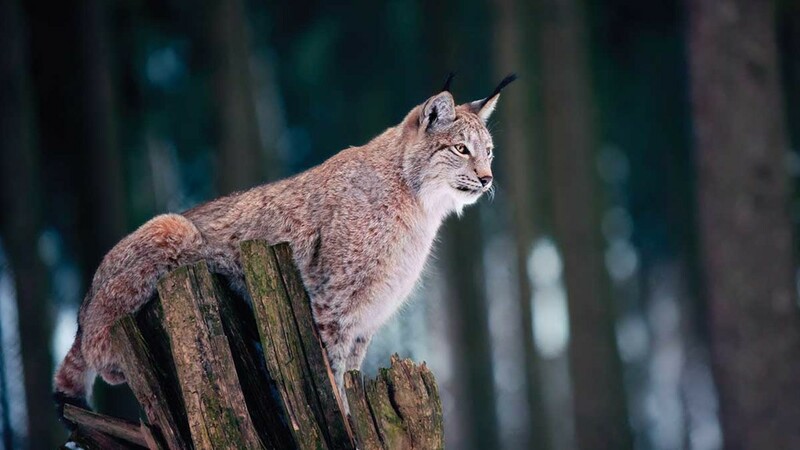 He said: “Moves for more agro-forestry schemes and further integration of trees and hedgerows would be undermined by releasing lynx if individuals felt these had the potential to create habitat for a species which poses a threat to their livelihoods. The meeting came as French farmers protested in Aveyron, southern France, about the number of livestock killed by wolves in recent months. More than 4,000 animals have been slaughtered so far this year.